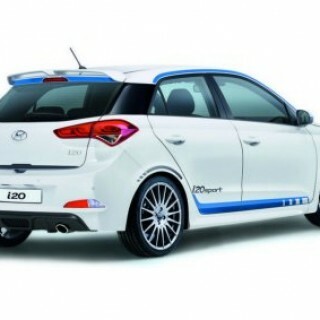 If you live in Germany, you can now get your hands on a brand new Hyundai i20 Sport special edition model! Launched in the 5-door hatchback bodystyle, the 2016 i20 Sport features Hyundai’s new 1,0L turbo GDI engine, which has been developed at Hyundai’s technical center in Rüsselsheim, Germany. The unit belongs to the automaker’s new family of downsized turbo petrol engines and comes available with two different horsepower outputs. 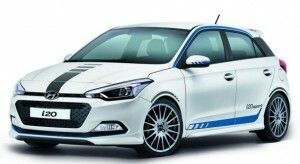 In this particular case, fitted under the hood of the Hyundai i20 Sport, it generates 120 horsepower and 172 Nm of torque. Mated to this highly-advanced turbocharged powerplant is the 6-speed manual transmission, which delivers power to the front wheels. 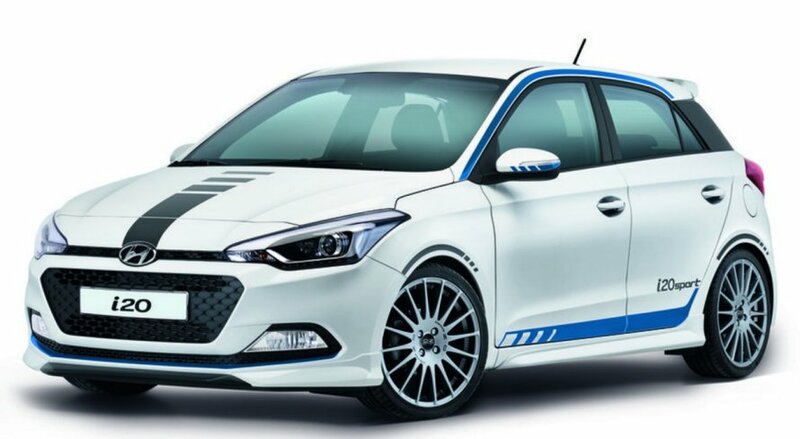 Stylingwise, the new i20 Sport differs from its non-turbo sibling models by offering new side skirts, rear spoiler and new rear bumper diffuser with integrated chrome exhaust pipe. The Sport model rides on 18-inch alloy wheels and features a 20 mm lowered suspension. It is offered exclusively in a Polar White exterior color. Blue body decals throughout and black racing stripe on the bonnet complete the changes made outside. On the inside, the i20 Sport features touchscreen multimedia system and all the goodies from its stock counterpart. According to Hyundai Motor Deutschland, the sales of the 2016 i20 Sport are projected to commence this spring, while pricing will start at €19,990.